Boston Bruins fans are no strangers to the Stanley Cup Finals. But they do know a little something about how unpredictable the post season can be. 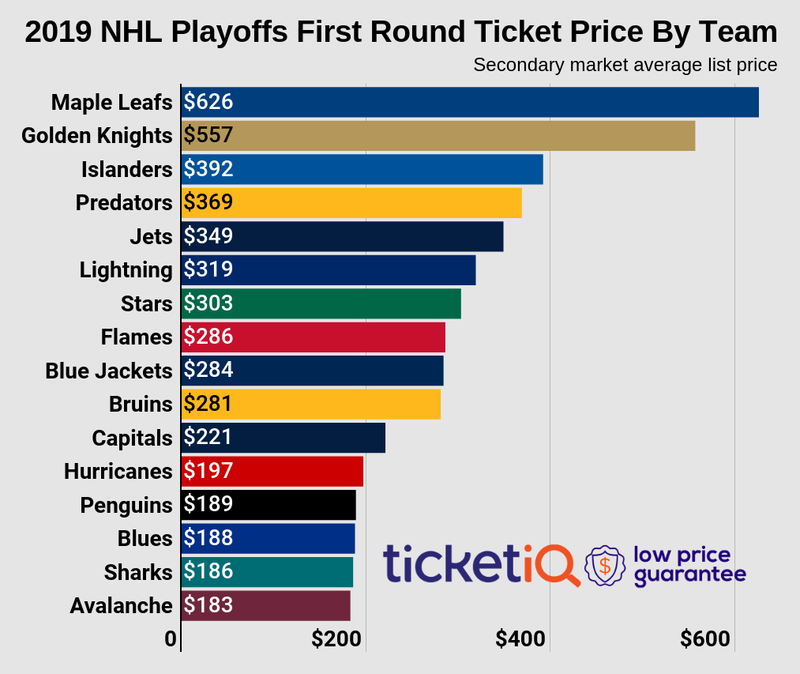 That said, while the average asking price for Bruins playoff tickets on the secondary market are the second highest since TicketIQ.com began tracking data in 2011, they are in the middle of the pack this year. The Bruins won't be home during the playoffs until Game 3, and the average asking price for ticket the games at TD Garden is currently $422, second historically behind 2014's $522 asking price. The cheapest second-round playoff series in Boston this decade was in 2011 ($116) -- when, paradoxically, the Bruins last won a Stanley Cup. It appears that Boston fans are pricing in the notion that despite their team's success, any one of the four remaining teams could advance to the final series. After beating Toronto in seven games in the opening round, the Bruins will face off against the Tampa Bay Lightning tonight in the second round. The Lightning is hosting the first two games, and the overall average asking price for tickets to the series is $359. The most expensive asking price on the secondary market for tickets in Boston is for the if-needed Game 6 ($518). The next priciest is Game 4 ($391), followed by Game 3 ($358). The get-in prices in Boston range from $169 for Game 3 to $201 for Game 4. Though Game 6 has the highest average asking price, at $195, the get-in price is cheaper than Game 4. One of the NHL's "Original Six," the Bruins have won six Stanley Cups and played in the championship game 19 times. Boston finished second in the Atlantic Division this season.